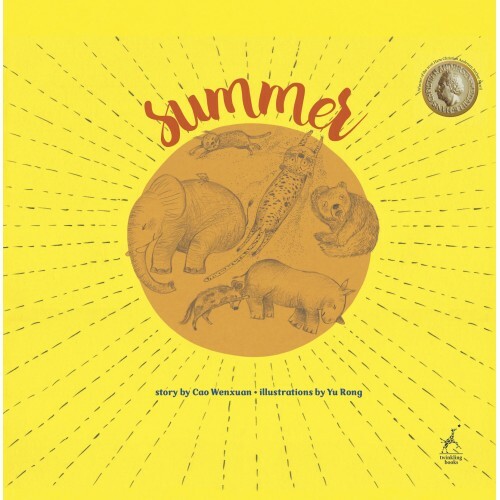 "Summer portrays the attributes of empathy, co-operation and inquiry through the use of rich language which is reminiscent of a poetry format. Children will be able to appreciate the changes in the environment while exploring the science concepts of sun and shadows. Yu Rong has incorporated traditional Chinese hand cut paper art techniques with colourful drawings and visually pleasing backgrounds. Some of the pages have been cleverly cut and layered to enhance the experience and unveiling of the story." - Alison Hewett, Head of Library Services for Kristin School. In poetic language, this book tells a story about understanding and tolerance. Mr Pang lives on the ..
Buy both Summer and Smoke by Hans Christian Andersen Winner 2016 Cao Wenxuan for the special discoun..